Earth moving is an essential part of the construction process, whether you're building a single family home or a skyscraper. Different jobs require different types of moving, including digging and removing material, pushing material, scooping material and leveling earth. These tasks require specific types of earth movers, including excavators, bulldozers, backhoes and graders. What Is an Earth Mover? As the name suggestions, earth movers are pieces of equipment that move dirt around a construction site. They're often used during the preparation phase to level ground, dig holes or remove dirt in anticipation of construction activities. Earth movers are all considered heavy machinery, but they have different features, come in different sizes and move dirt in different ways depending on the requirements of the job. Large construction sites often use multiple types of earthmoving equipment for different parts of the job. The bulldozer is a multipurpose piece of construction equipment that's designed to work on steep grades, push large amounts of material, traverse aggressive terrain and pull heavy loads. They're one of the strongest options, making them versatile on different job sites. The broad blade on the front is curved and upright to help move the dirt. These machines are equipped with a dual-track system that provides good traction and a large surface area. They can operate on soft soil or asphalt without severely damaging the surface. Bulldozers push earth, rocks, brush, trees and any other loose material with their hydraulically operated front blade while also being able to pull large trailers or farming implements. The backhoe is a combination of a front loader and an excavator and is similar to a tractor but with extra tools on it. A bucket on the front of the machine allows it to scoop up material or level earth by backing over loose topsoil with the tip of the bucket placed on the ground. They're often better for smaller jobs or areas with limited space. On the back, an excavation unit consists of an arm and articulating bucket. This feature allows the operator to dig down and remove materials. The backhoe can be fitted with different rear buckets for digging large holes, narrow trenches or gripping loose materials with a grappling hook, making it a versatile earth-moving machine. As the name suggests, the excavator is used to excavate material. This heavy machinery can move in a 360-degree radius around the machine to move material, whether that material is trash, earth, rocks, river silt or timber. The excavator has a dual track system like the bulldozer, giving it good traction and a stable base. The arm articulates out, left or right, and down via hydraulic pistons. The bucket, which can be swapped with several styles for different digging applications, moves vertically around its axis, bringing in material. The machine moves material upward and to a local material pile, where it's released from the bucket. It works for digging holes and trenches, depending on the job. 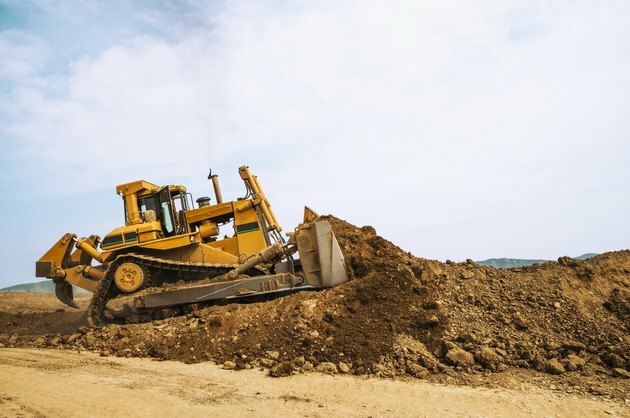 Once the earth is moved in bulk by the bulldozer and scooped out of holes by a backhoe or excavator, it's common for a grader to completely flatten the earth. The grader smooths earth in preparation for paving, structural concrete slabs or topographical reshaping. It's often used to move just small amounts of earth. The blade on this earth mover is positioned beneath the operator, between the front and rear axles. It's a long blade and is adjustable to fit various jobs. It can articulate left or right, up or down, and tilt up or down on either corner of the blade. Kelvin Hayes has been writing professionally since 2009 as a freelance copywriter. He runs his own online business, writing ebooks, reports and information products. Completely self-taught, Hayes prides himself on creatively completing writing projects by pulling from his wide range of life experiences. 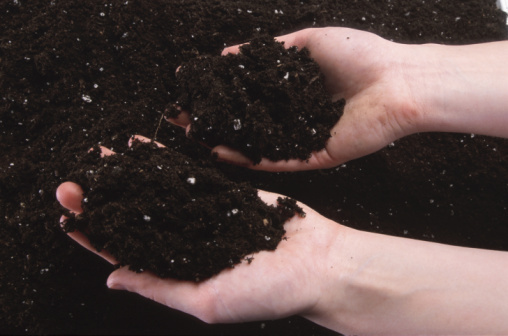 What Is the Difference Between Excavating & Trenching?